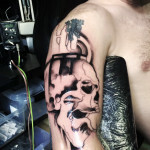 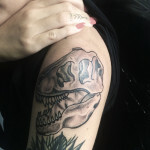 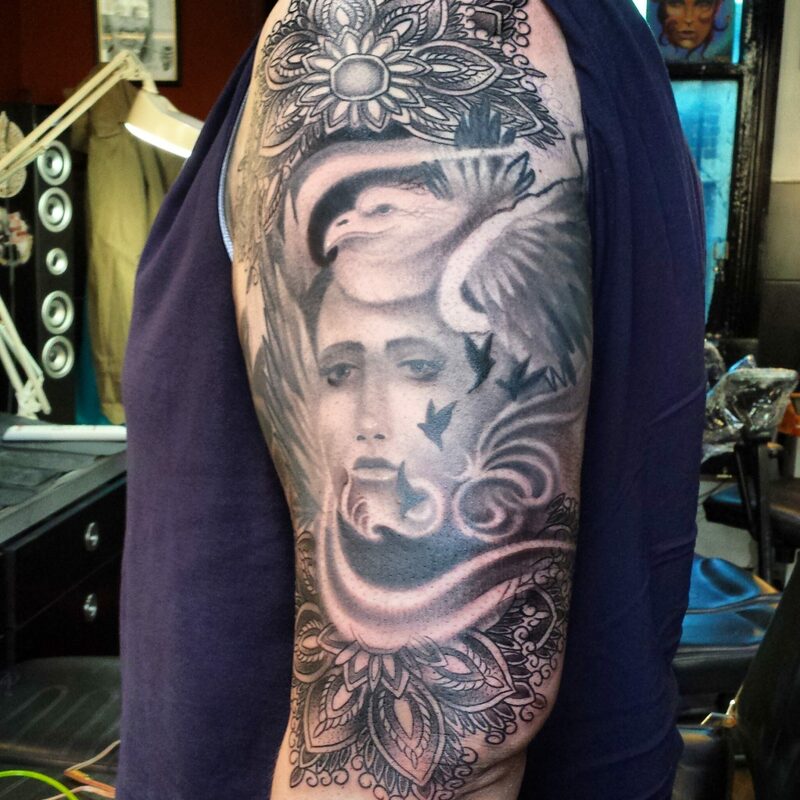 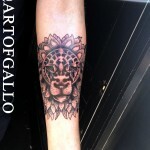 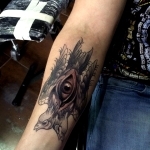 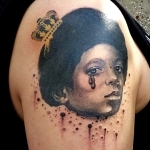 We take pride in our work and ensure every tattoo we create is custom and unique for the client regardless if the tattoo is small or a full sleeve, it’s still there for a lifetime. 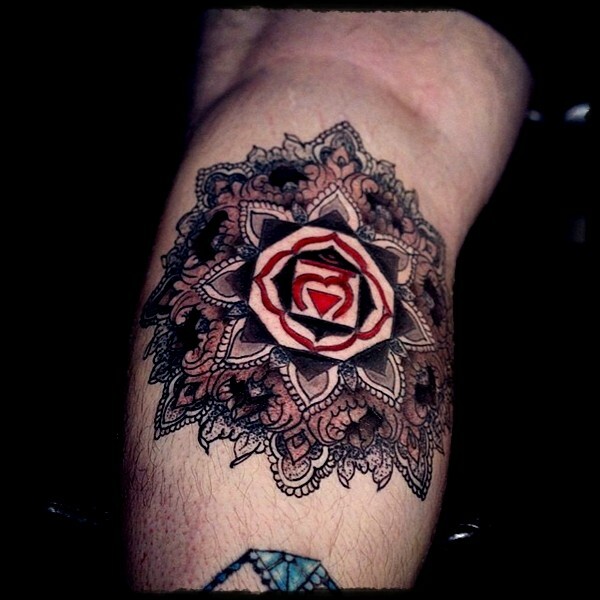 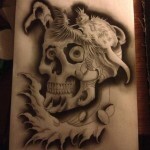 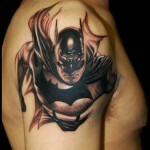 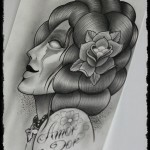 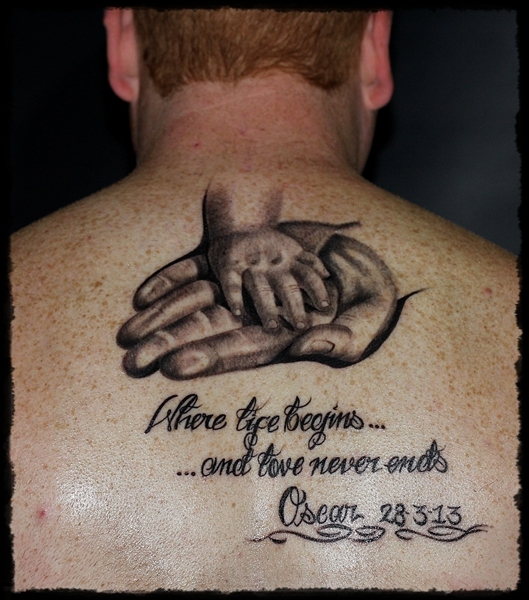 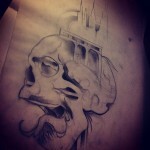 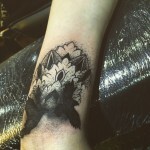 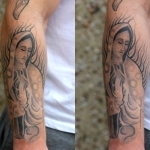 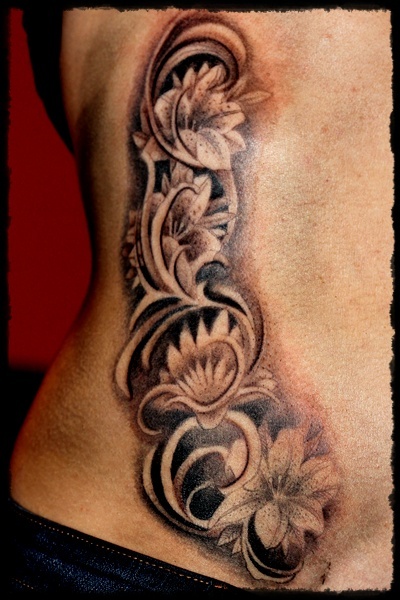 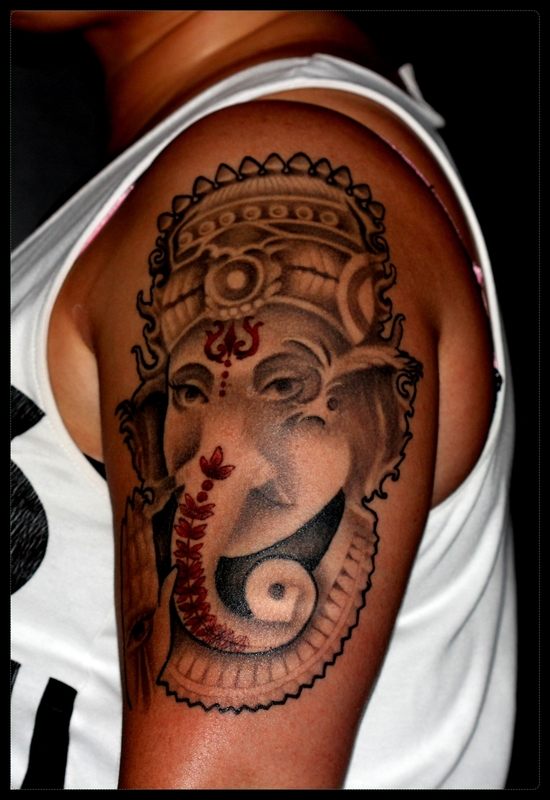 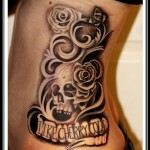 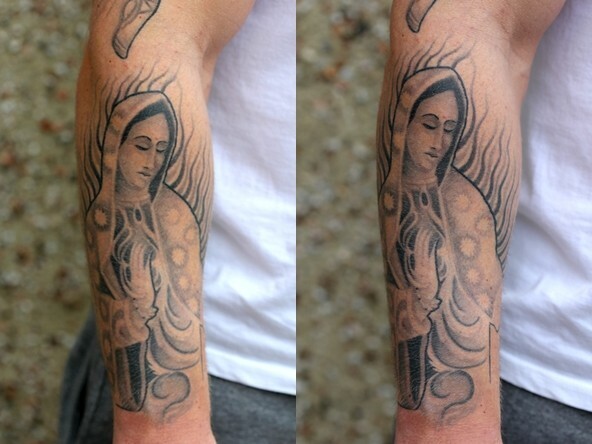 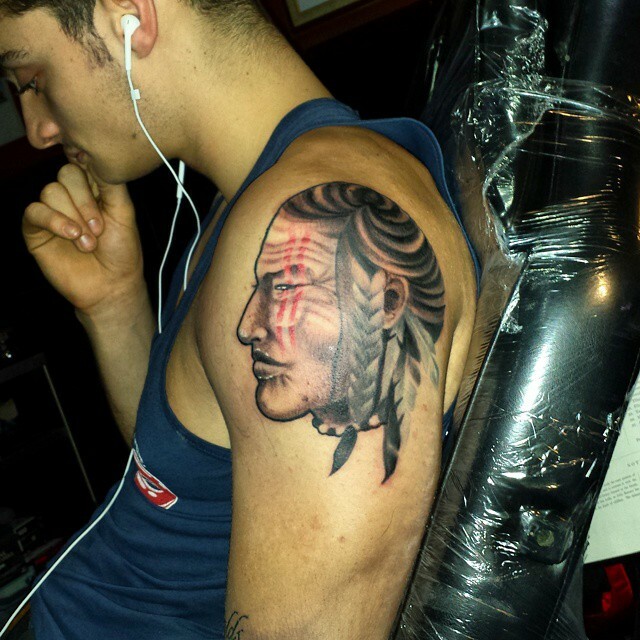 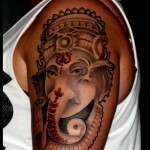 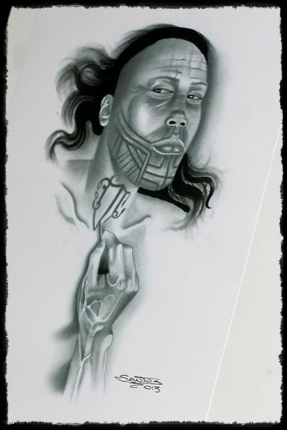 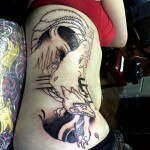 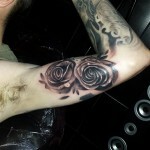 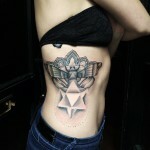 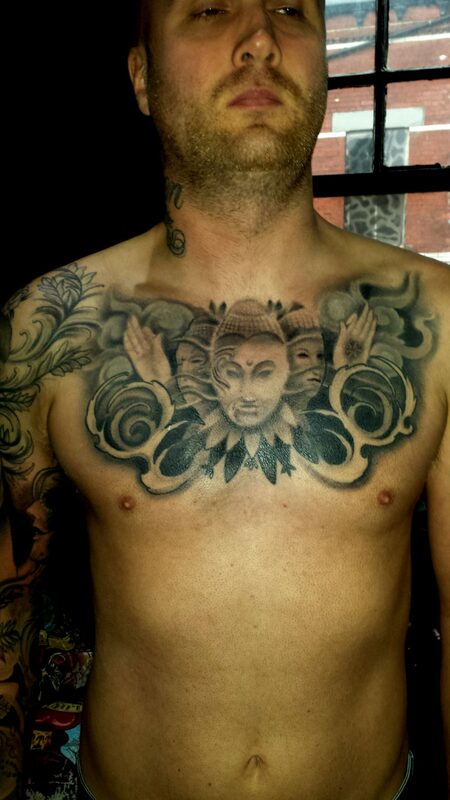 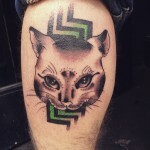 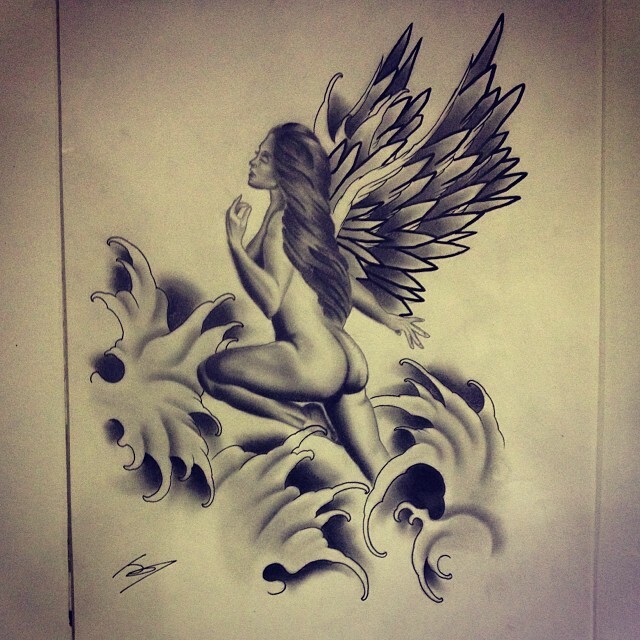 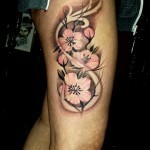 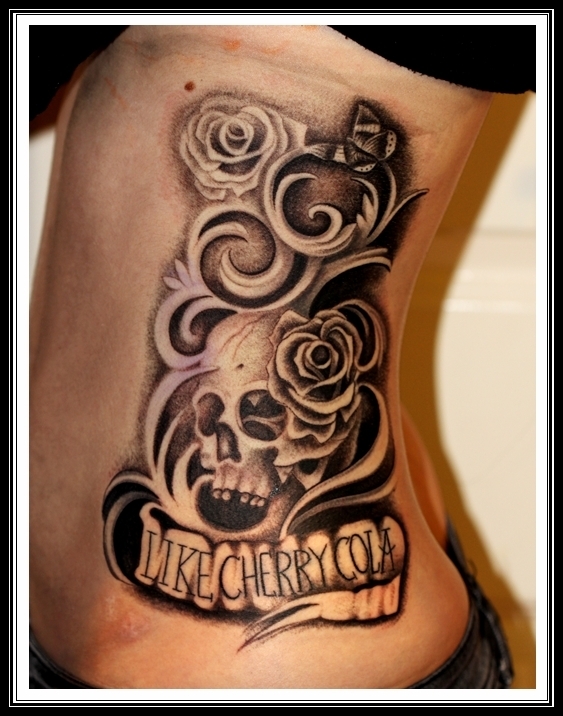 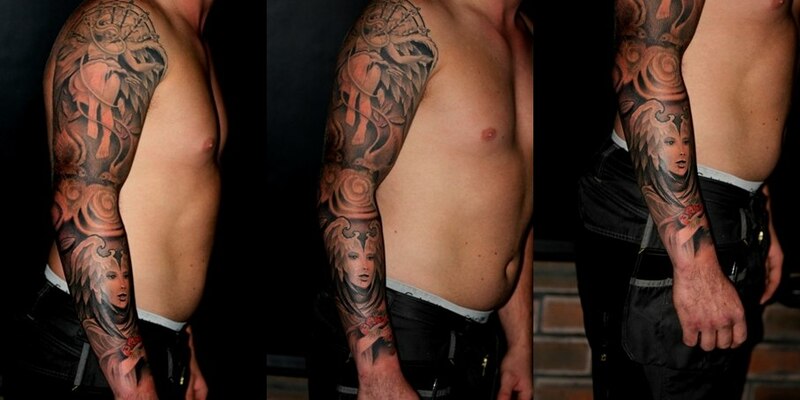 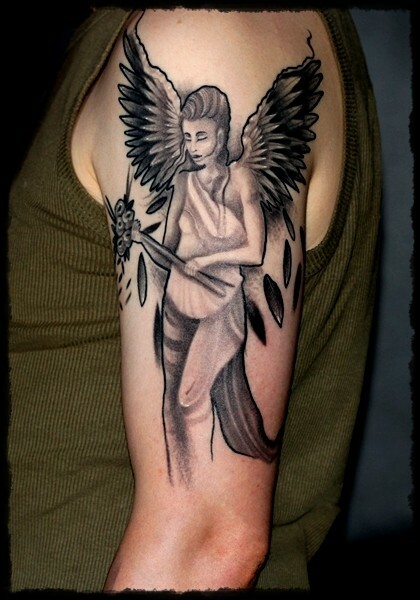 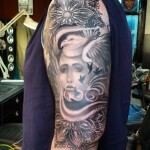 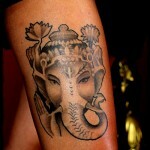 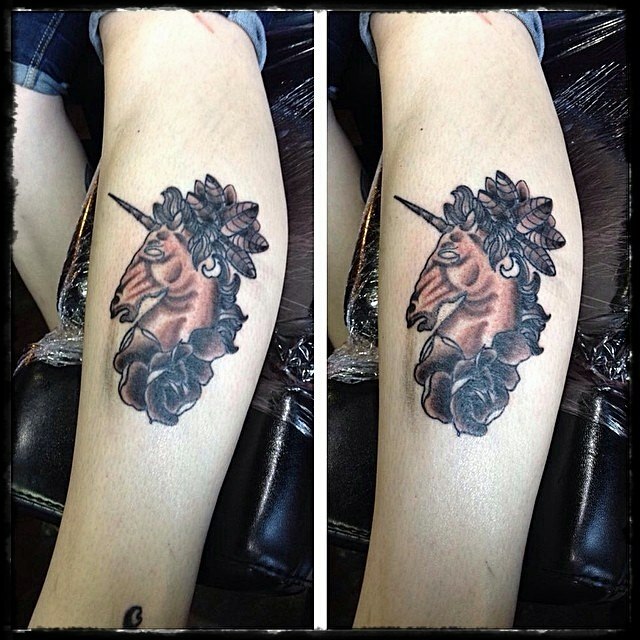 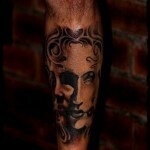 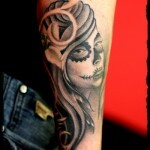 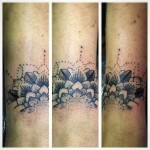 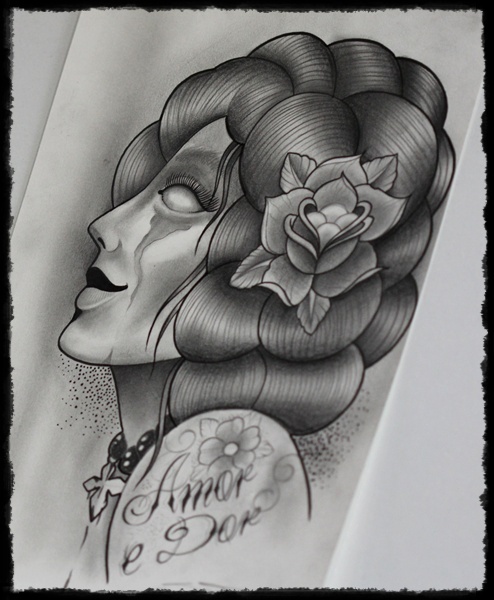 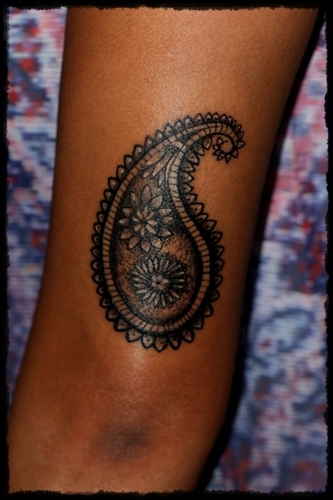 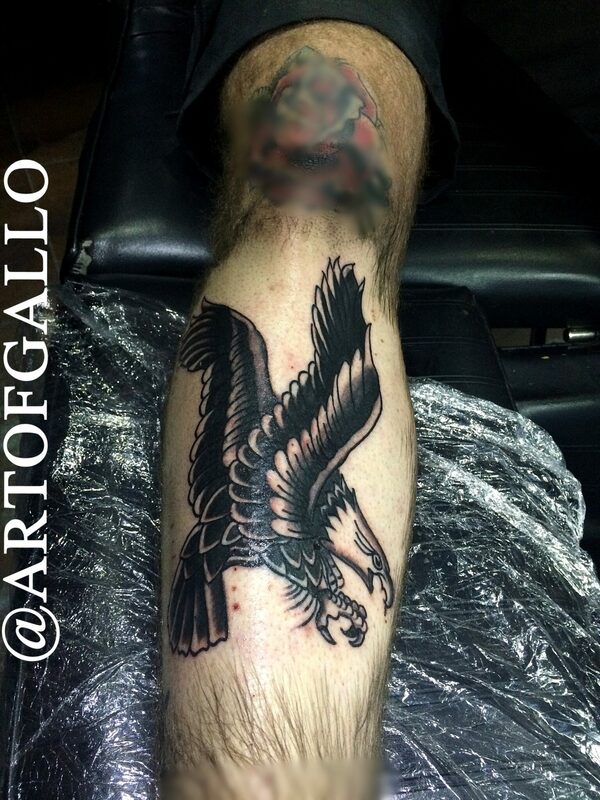 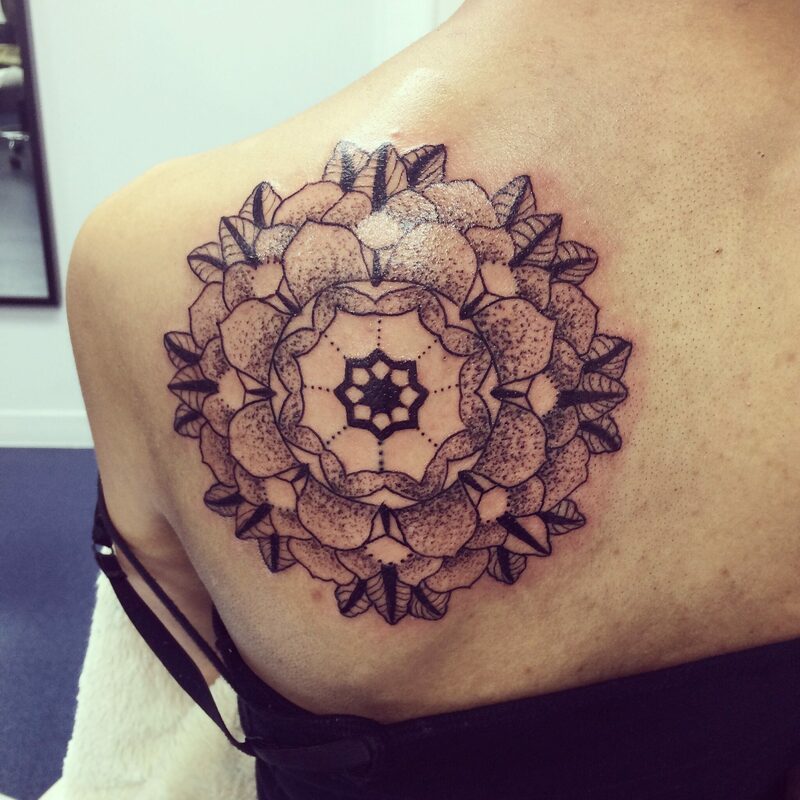 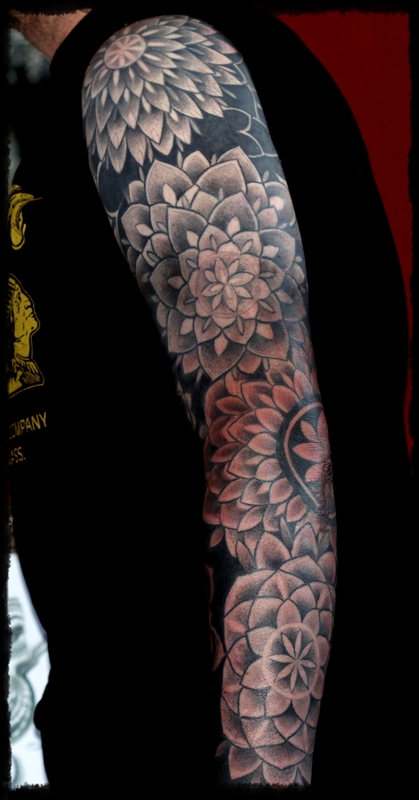 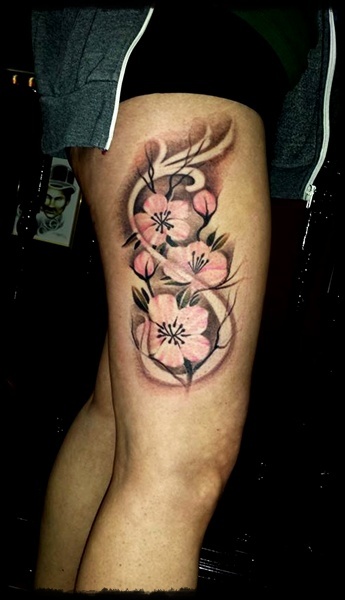 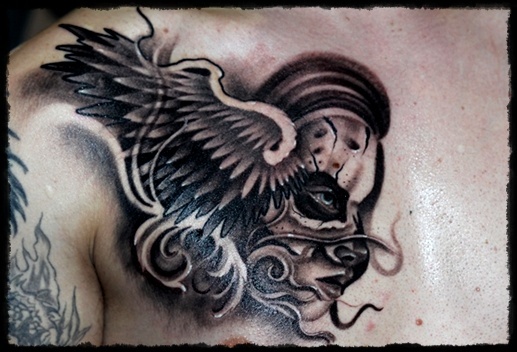 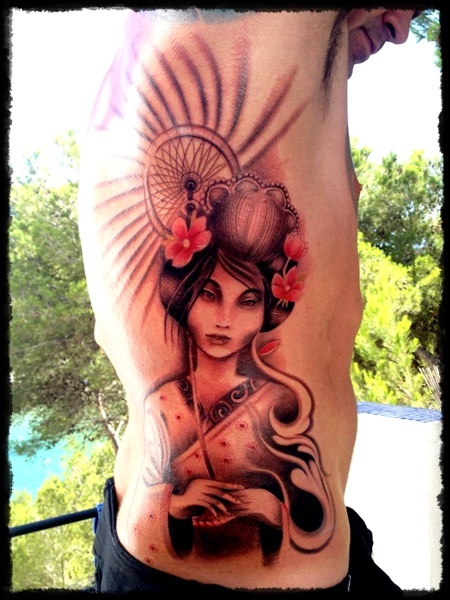 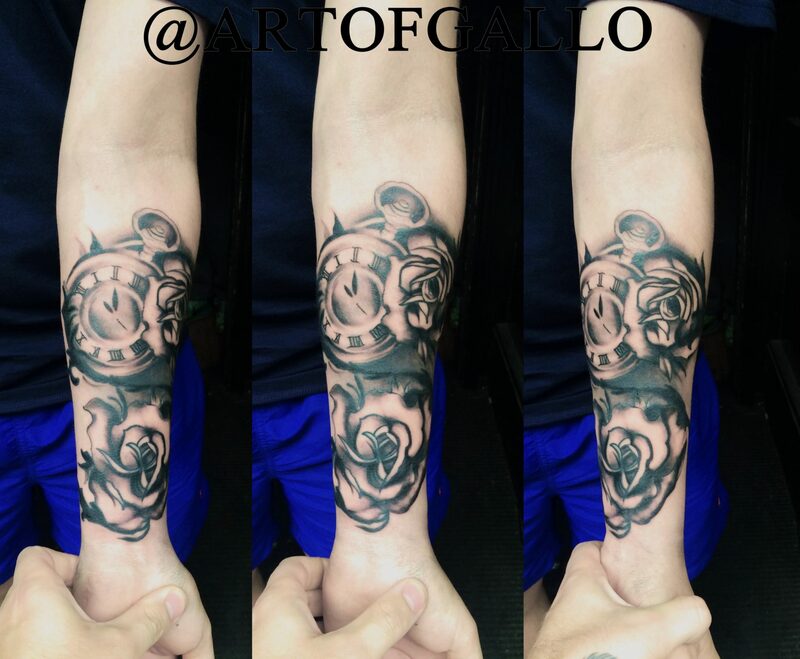 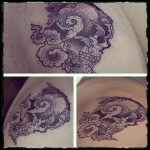 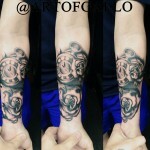 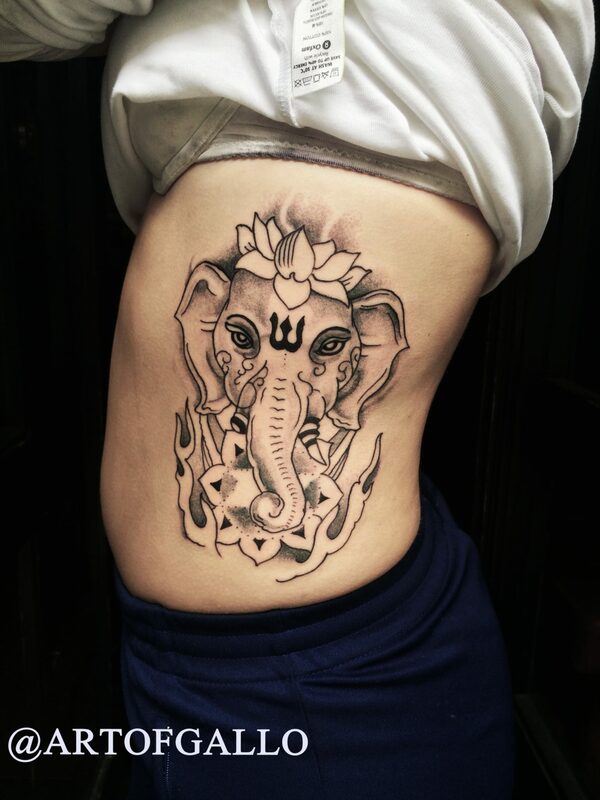 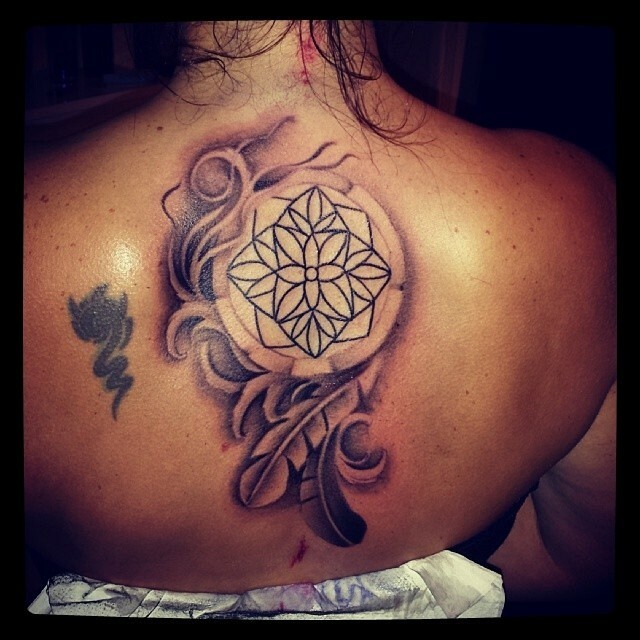 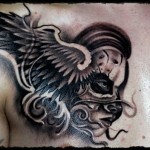 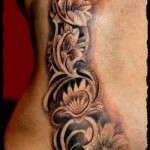 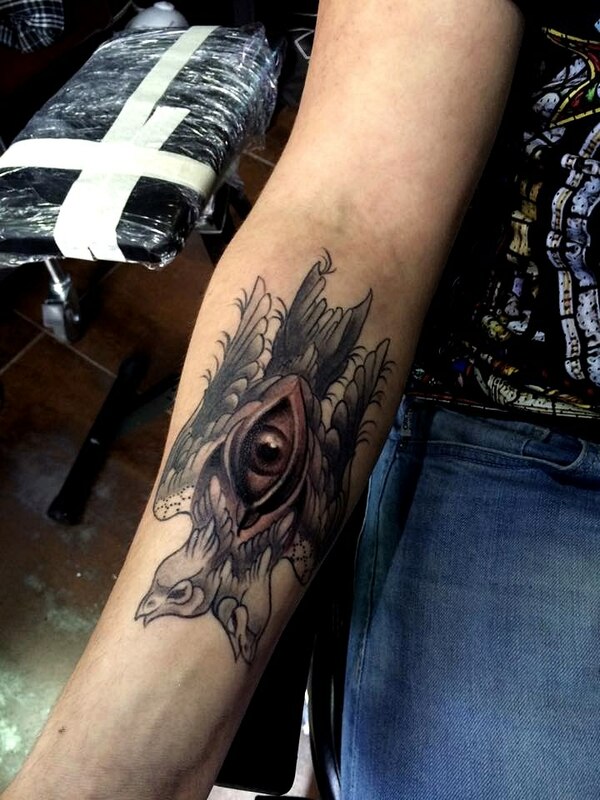 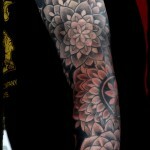 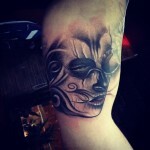 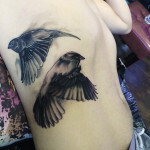 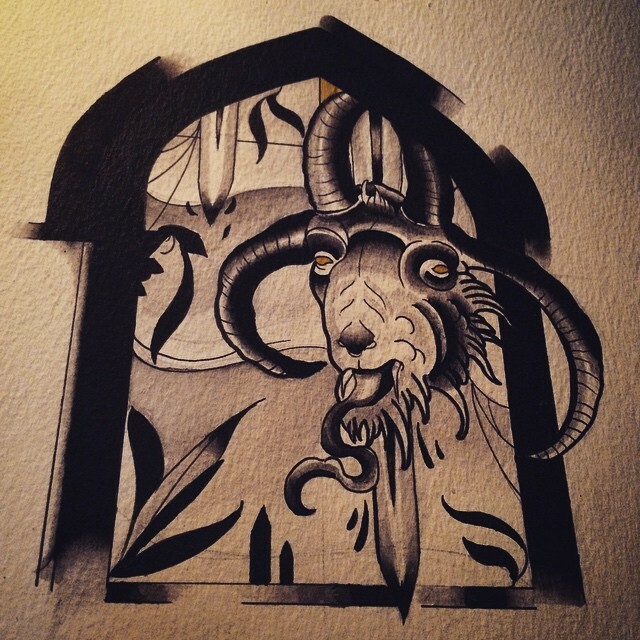 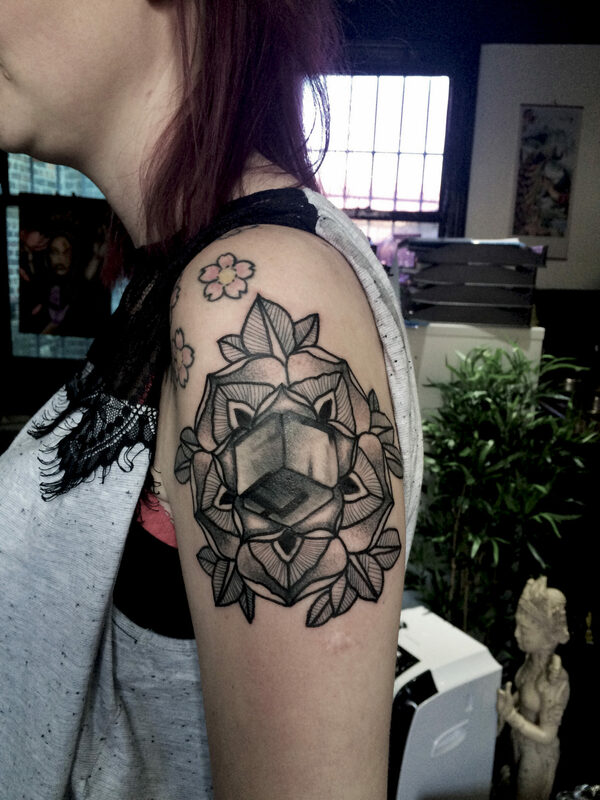 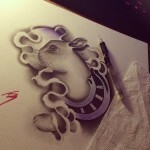 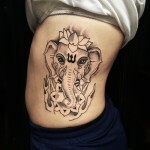 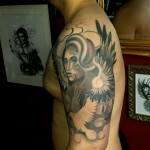 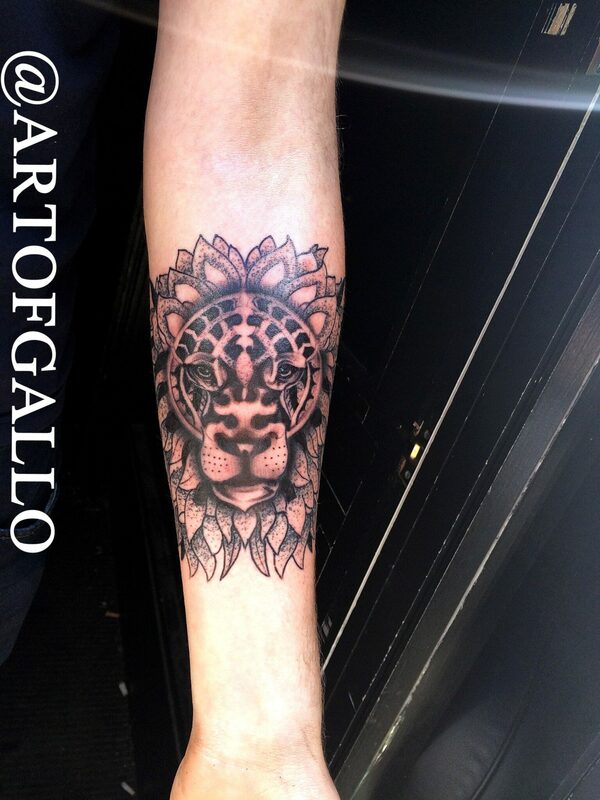 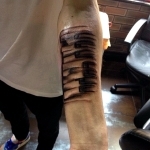 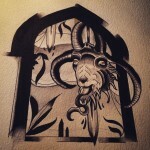 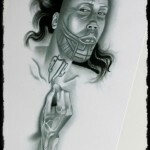 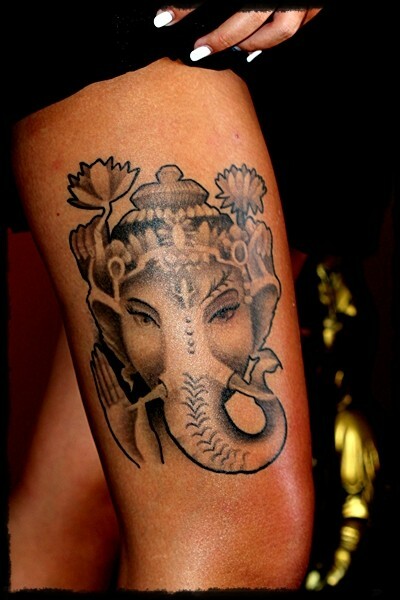 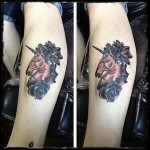 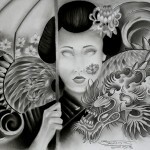 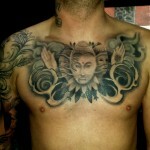 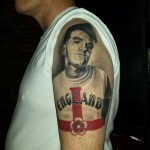 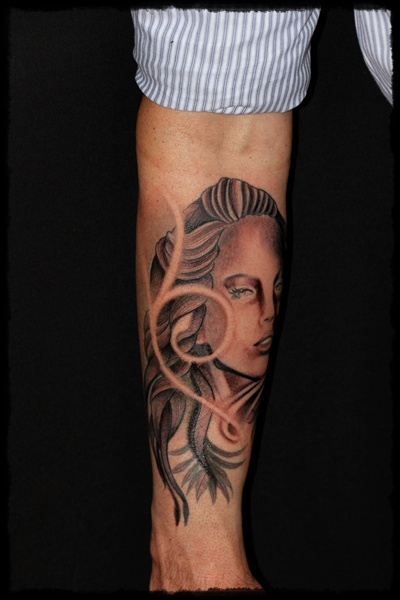 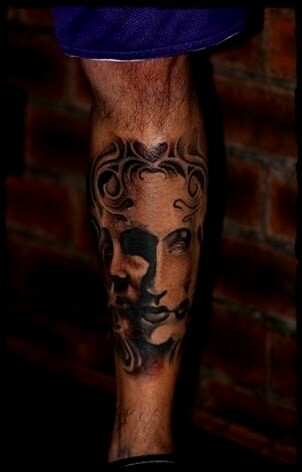 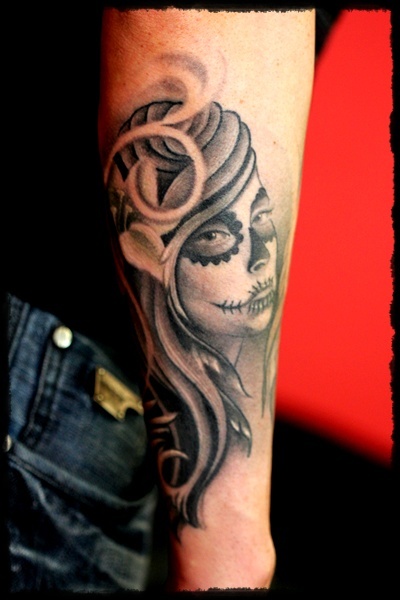 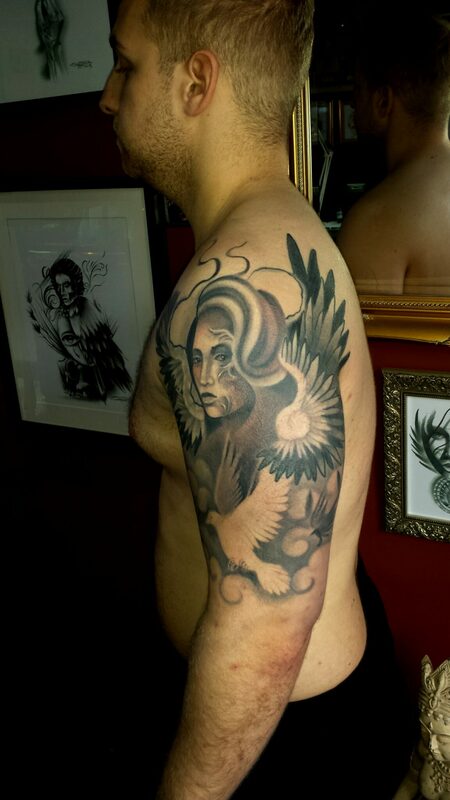 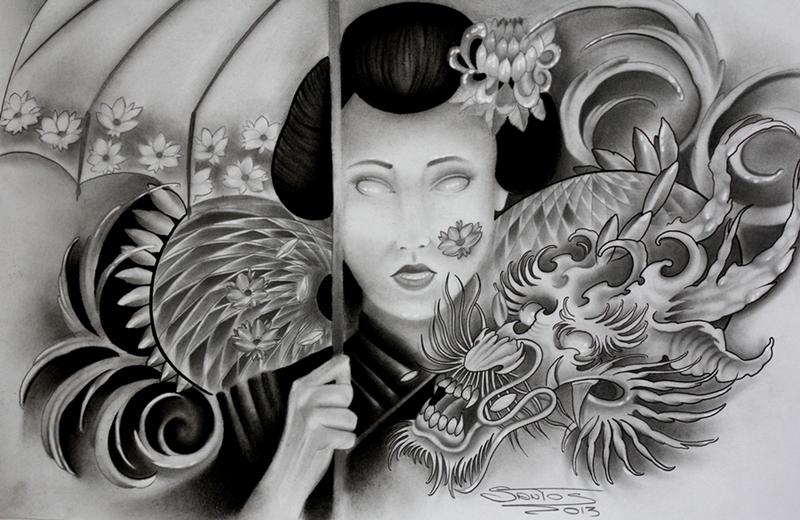 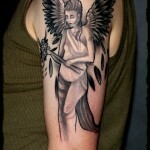 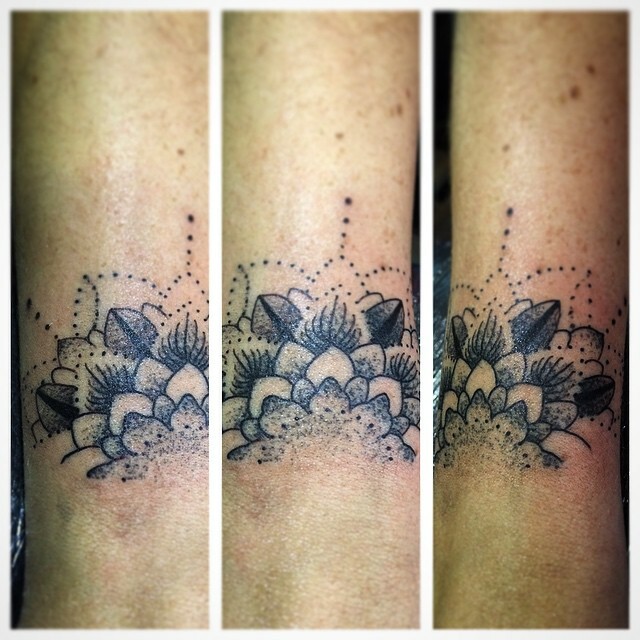 Our black and grey tattoo’s vary from Japanese style through too realism, traditional and line work tattoos. 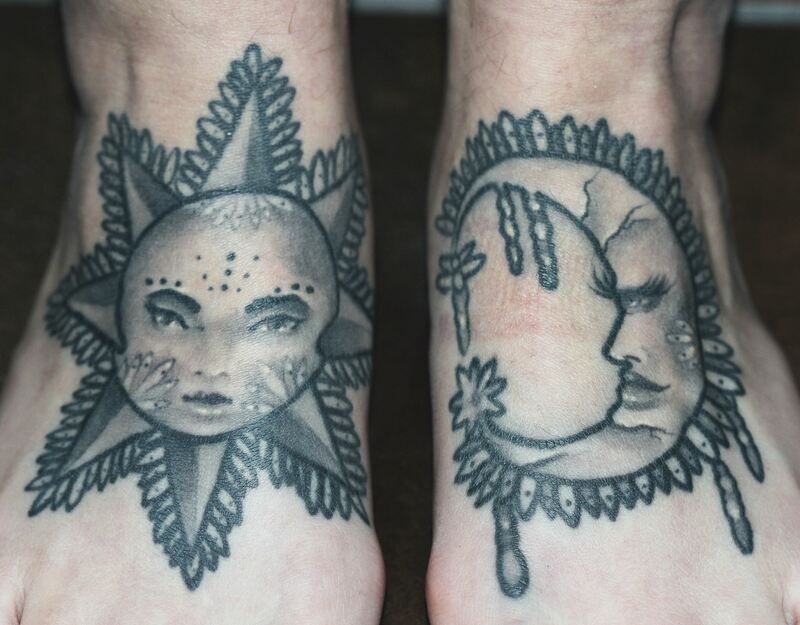 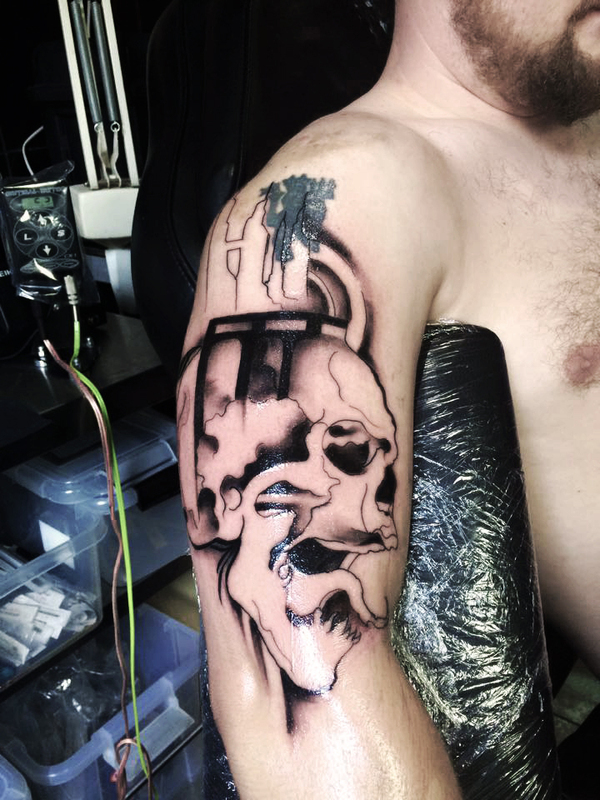 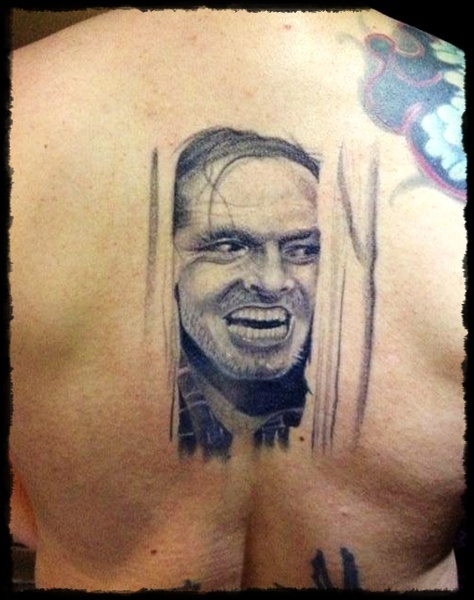 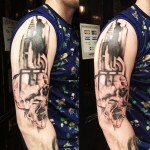 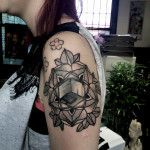 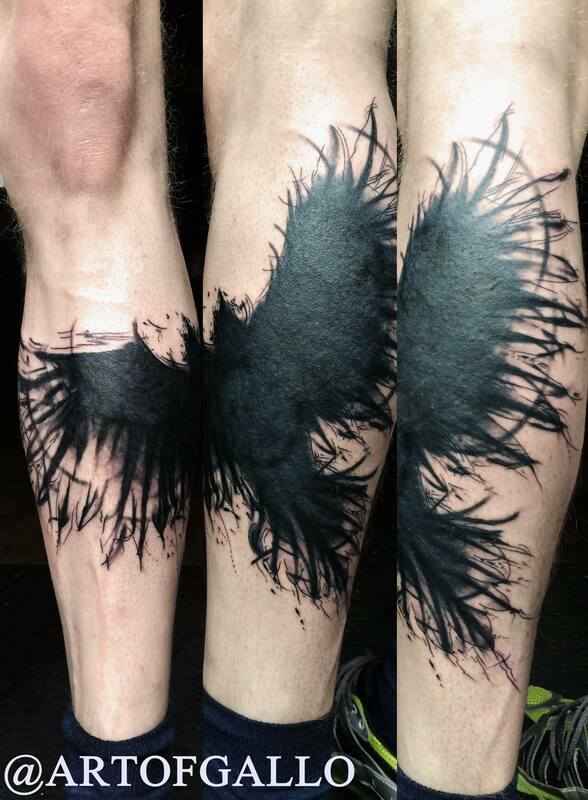 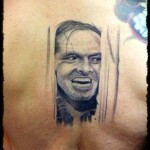 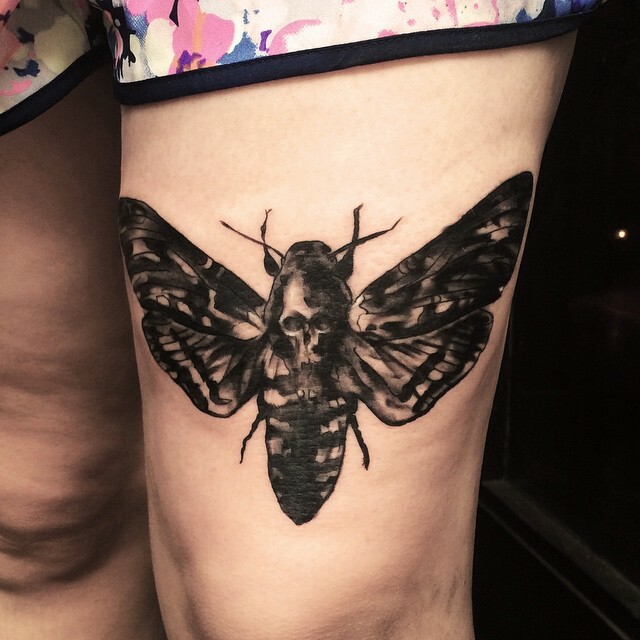 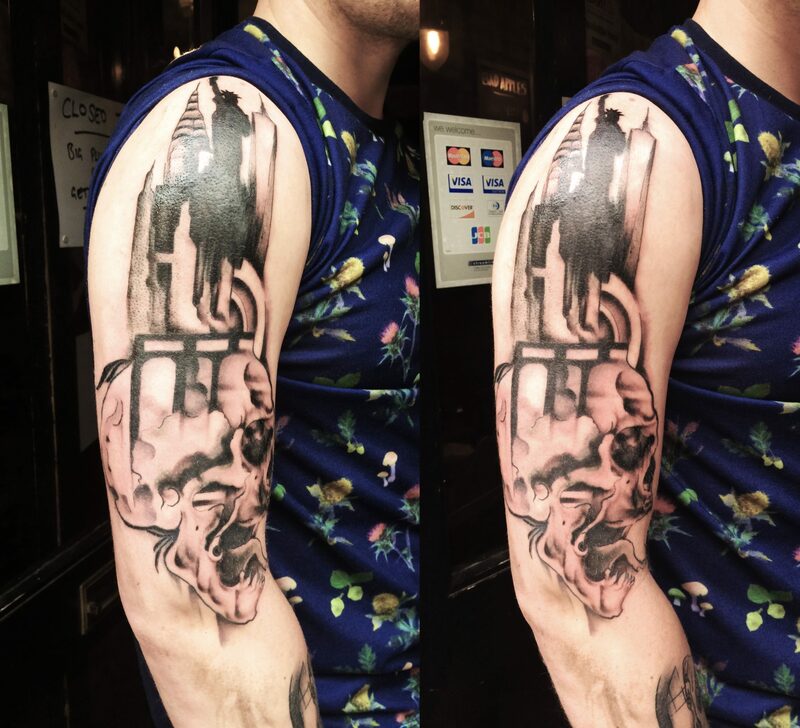 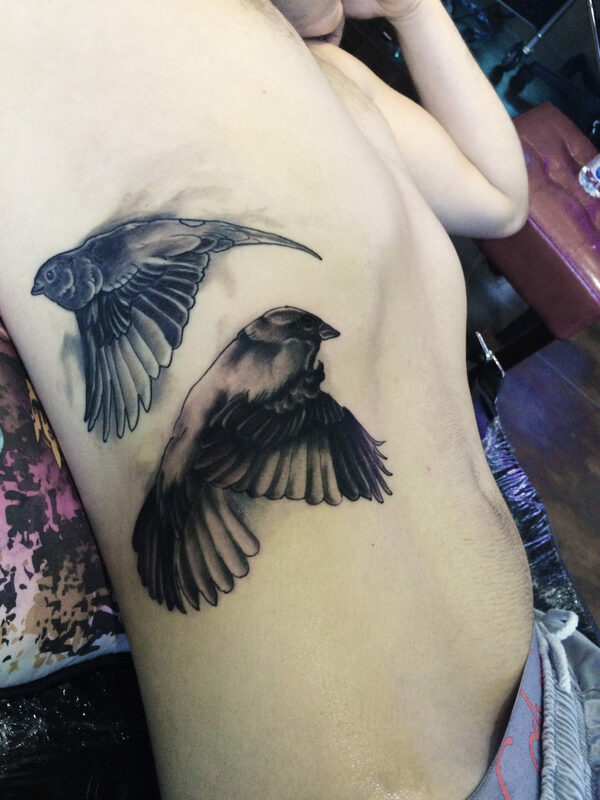 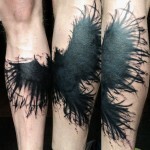 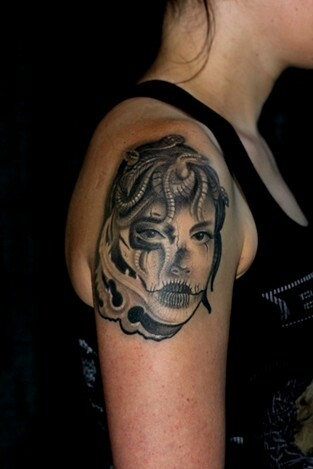 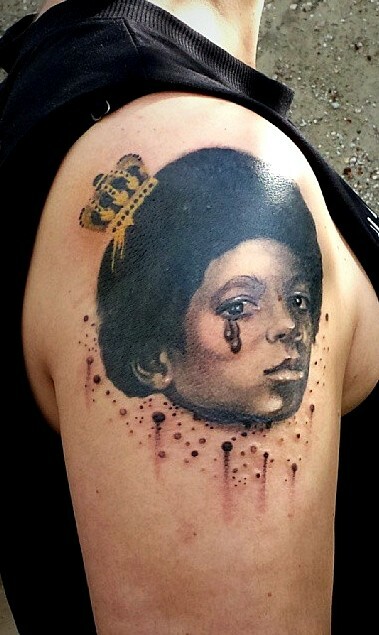 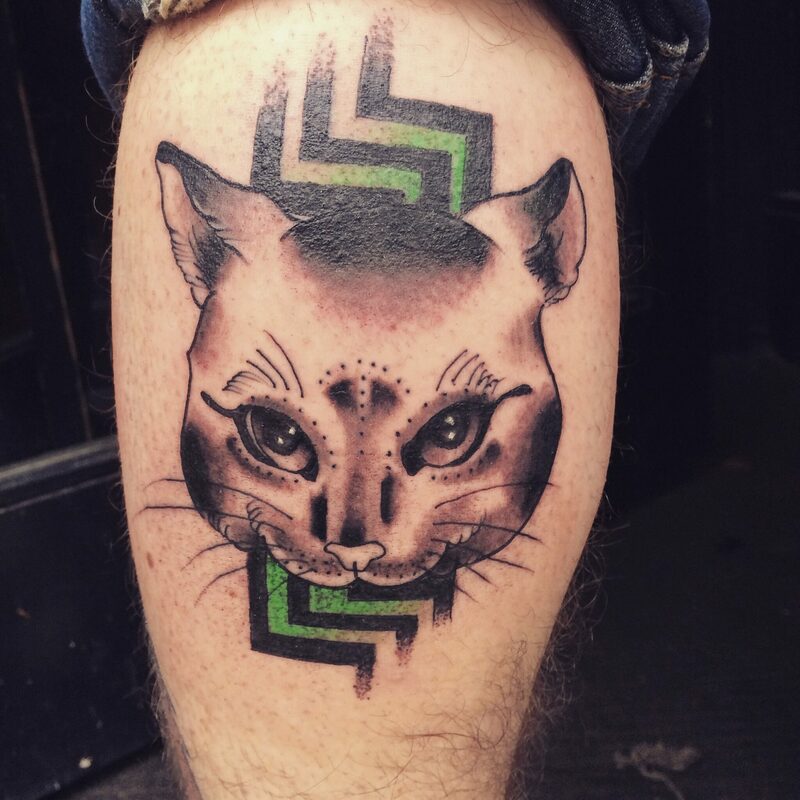 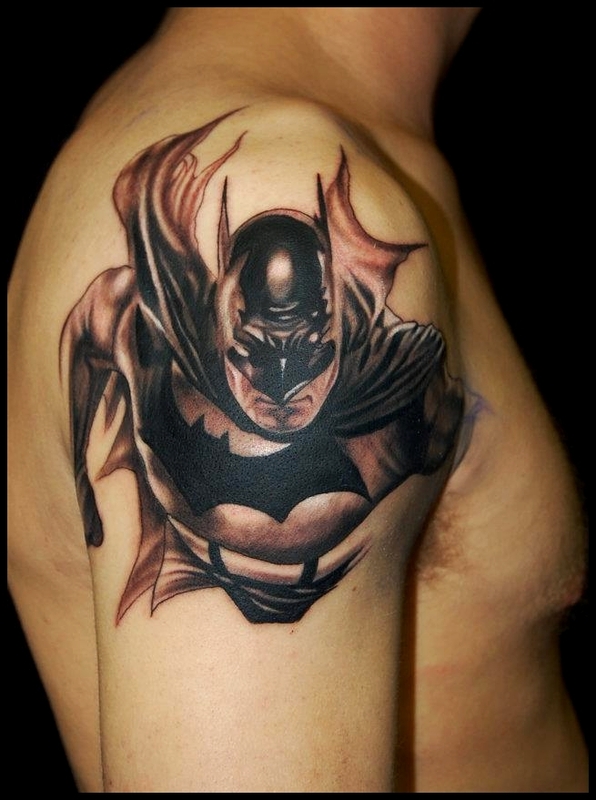 Black and grey tattoos can be so unique by taking time and making sure the design has had thought and planning. 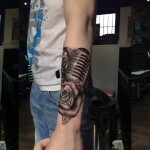 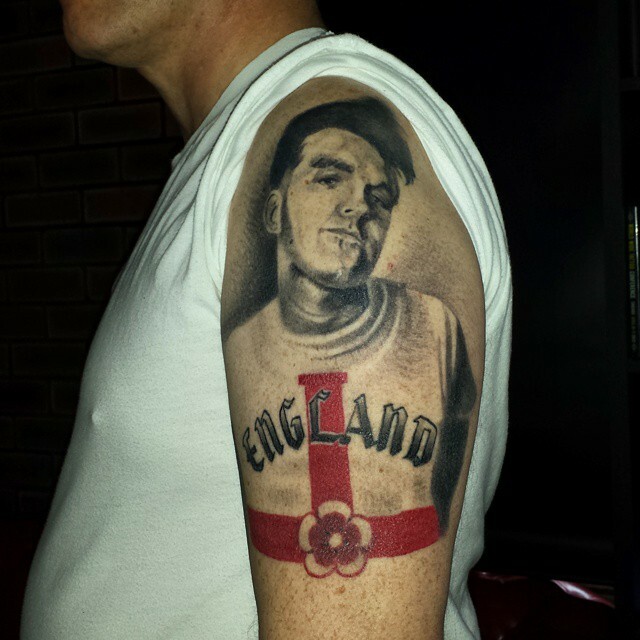 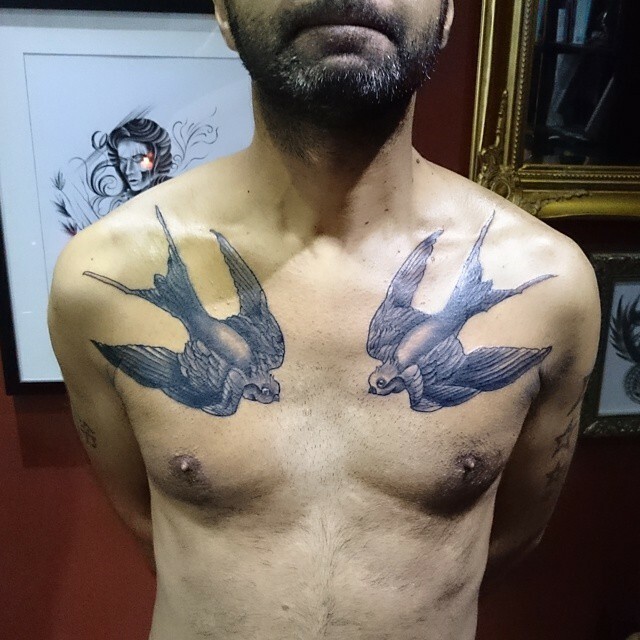 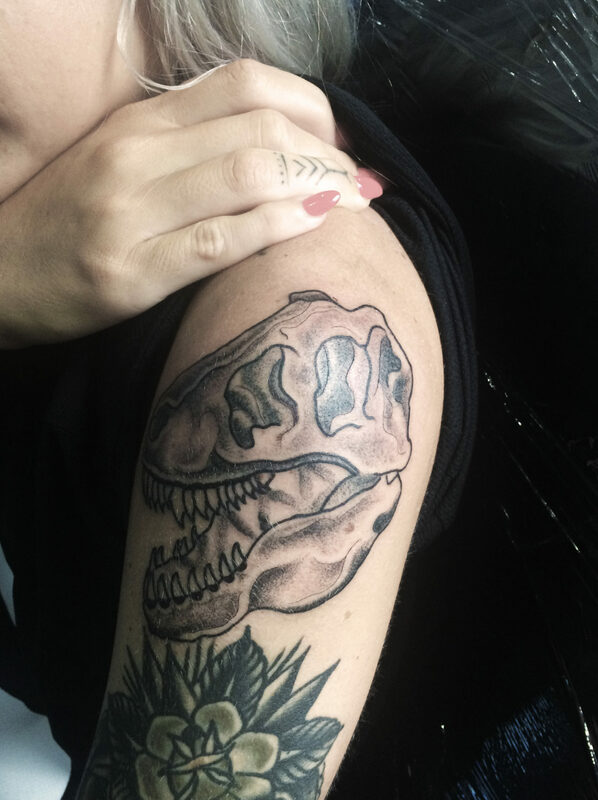 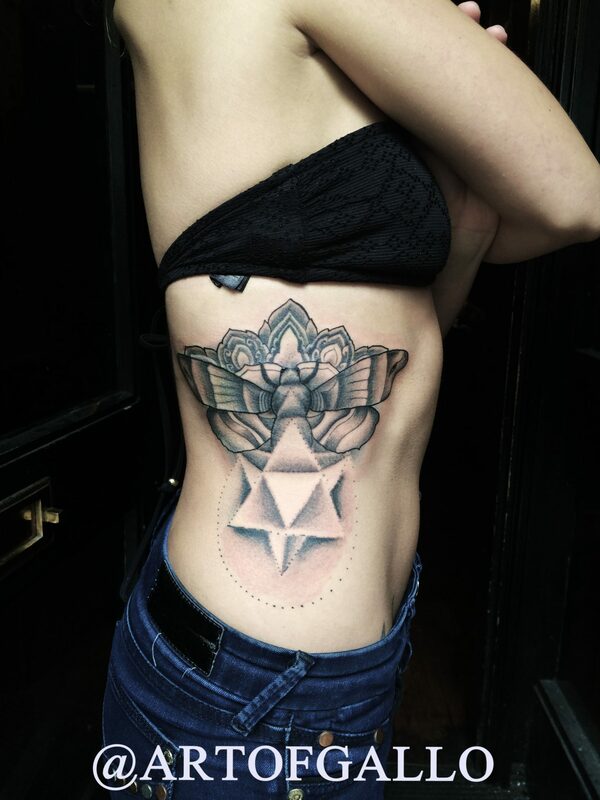 We always encourage our clients to really get a tattoo that they want, what they feel and not just something because its “in fashion” at the time. 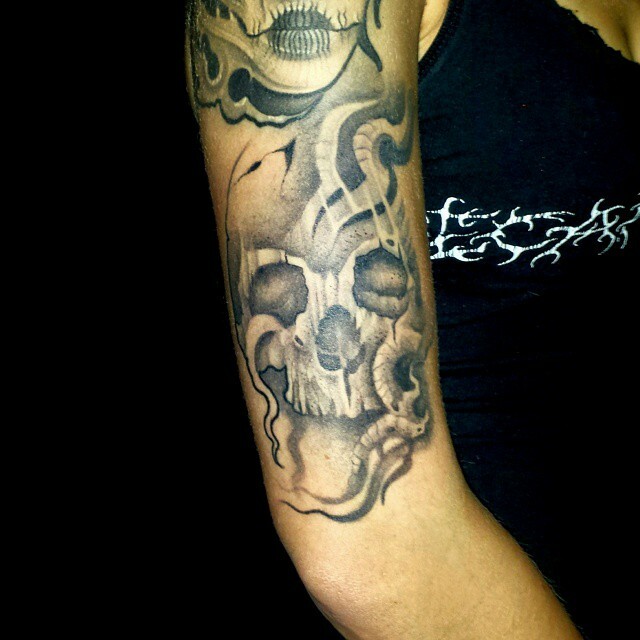 A tattoo is as personal as you want it too be.